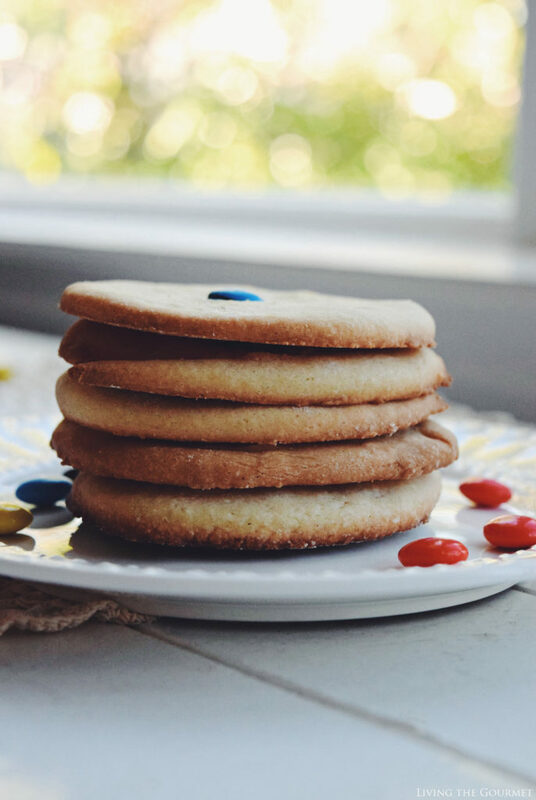 These simple classic cookies are a perfect accompaniment to coffee or tea. Part of that, I suppose, is due to each night being one part reflection, and another part forward looking into what lies beyond the veil of sleep. However, I must admit, that one of the chief occupants of my nightly mind is the anticipation of the next morning’s coffee. As a result, you can imagine my grave horror when I awoke early last week to find that the coffee maker had, quite simply, broken. Yes, each morning is unique, and not always in a good way. 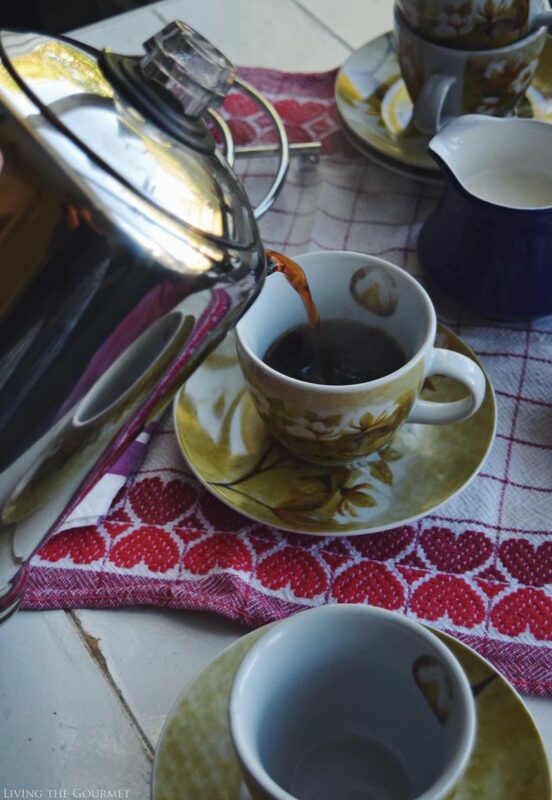 As any self-identified coffee-fanatic would do, I wiped clean all of my immediate responsibilities for that morning, and promptly set about researching a replacement, which turned out to be quite the daunting task. As it seems, there is no shortage of highly rated brands, each with a line of what they claim are the highest-tech, grandest quality machines, each capable of producing the most delicious cup of coffee. So many choices, so few distinctions. After a fair bit of searching, I decided to play the part of the contrarian. After all, the very first brewers of coffee, those responsible for introducing the caffeine-rich bean as a permanent fixture of our modern lives, did so without with the help of what amounts to veritable ‘coffee-brewing-kitchen-computers.’ Reaching back to my earliest coffee-themed memories, I decided to forgo the higher-tech options, and opted for a simple stove-top percolator. After three mornings worth of instant-coffee had passed, the new percolator arrived late yesterday afternoon. My relief at receiving this package wasn’t unlike that of someone stranded on a dessert island receiving an airdrop of water. Thankfully, I had wrapped up my day early, and so I had a perfect excuse to relax with a cup of fresh brew for the remainder of the day. However, it’s a strange thing, ‘trying’ to relax, being something of a conscious effort to lull oneself into effort’s opposite. 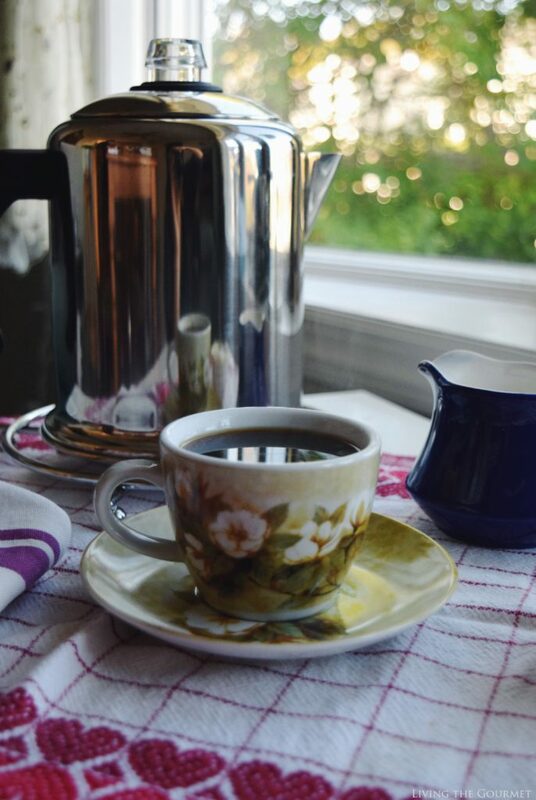 As a result, rather than truly enjoying the process of familiarizing myself with the new coffee pot, or enjoying my first cup of coffee in three days, I was instead becoming increasingly restless. I had my coffee, and a free afternoon graced by immaculate autumn weather. Yet, something was simply missing. Naturally, it was a pairing for the coffee, and that’s where today’s recipe comes in. On what was supposed to be a relaxed autumn afternoon, I wanted a similarly relaxed cookie, something comparatively easy to put together, but also delicious. 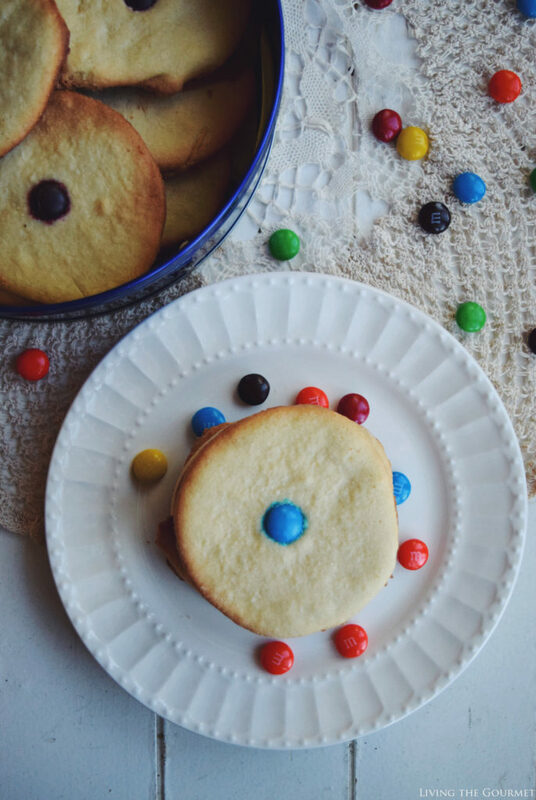 M&M’S® Sugar Cookies are a seasonal favorite of mine, perfect for these sorts of relaxed afternoons, or as a quick sweet after lunch or over tea or coffee – and that’s precisely what I was going to prepare. To start, I mixed flour, baking powder, and salt, and then set that aside in a bowl. I then combined eggs, butter, sugar, and vanilla in an electric mixer until smooth, and then slowly added the flour mixture, keeping the mixer on low. I formed the dough into a ball and then refrigerated the dough for at least one hour. Then roll out the dough; cut and place the cookies onto a cookie sheet and decorate the center of each cookie with an M&M, and bake. Combine together in a large bowl the eggs, butter, sugar and vanilla; using an electric mixer on medium speed mix until smooth and creamy. Reduce the speed of the electric mixer and slowly add the flour mixture to the creamed butter mixture. Form into a ball; wrap the dough in wax paper or plastic wrap and place in the refrigerator for at least one hour or up to overnight. Lightly flour a clean surface and using a floured rolling pin, roll out the dough to a ¼ inch thickness. Use a cookie cutter or lid from a jar to cut out the cookies. Place the dough on an ungreased cookie sheet approximately one inch apart. 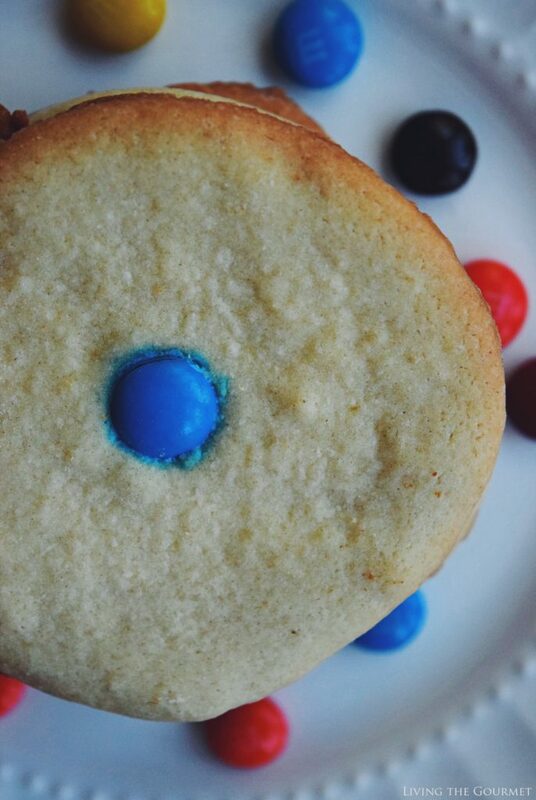 Place an M & M in the center of each cookie or as many M & M’s as you like to decorate each cookie. Bake 9 – 12 minutes or until lightly golden on the edges. Needless to say, the cookies provided the perfect pairing for my autumn afternoon, and precisely the accompaniment I was looking for to go with my coffee. They look wonderful! I love that they are garnished with M&M. I love these sugar cookies. Look amazing. 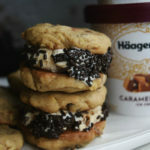 Many times I think in make cookies but always forget... always I have a new recipe iu my head :) hugs! So simple and delicious! I'd love a couple with my after dinner cup of tea! These are are my all time favorite. super yumm and delicious. LOl I love that you used the term "horror" of the coffeemaker being broken. Because it does rise to that level of crisis doesn't it? We wonke once to no power. My husband freaked, and next thing I knew, he had fired up the emergency generator just to be able to brew coffee. How pretty are these! It would be dangerous for me to have these around in the house! Sugar cookies- what a classic! Yum! These are lovely! Of course, I think I'm more fond of these simple recipes right now because so many that I see are over the top. Simple and good is what I'm looking for these days. These are spot on! I love the story your photos told...very nicely done. And who can not love a sugar cookie? What a lovely dessert! I'm loving the looks of these cookies! The simpler, the better, in my opinion. There are so many overwhelming, over-stimulating pictures on Pinterest of the gooiest cookies. And, to me, simplicity is all I need! I love simple sugar cookies. 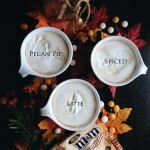 I could a whole batch in one sitting with a cup of coffee!